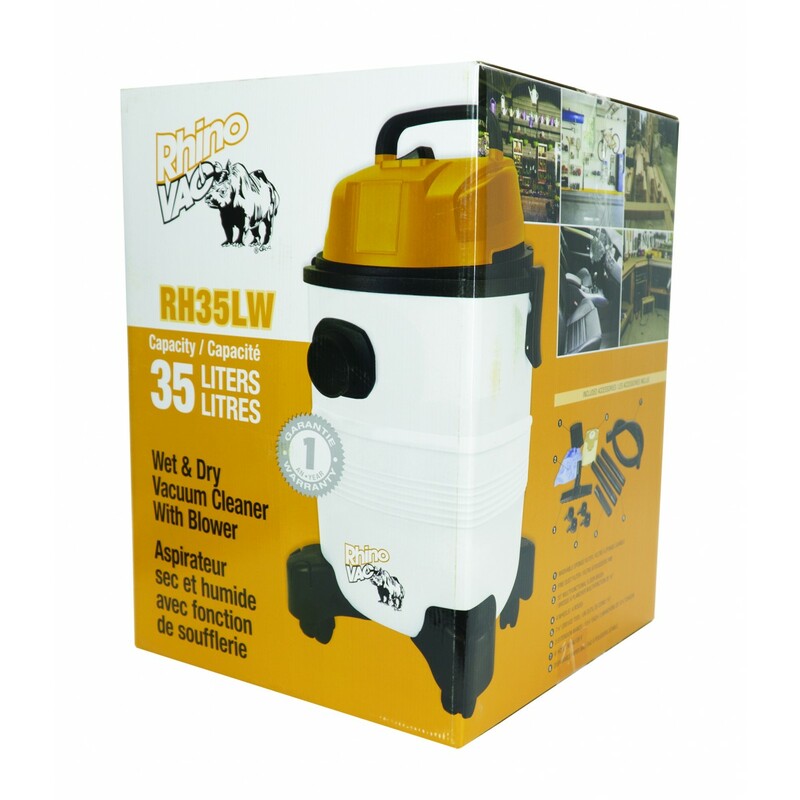 The RhinoVac RH35LW Shop Vacuum picks up dry materials as well as liquids. 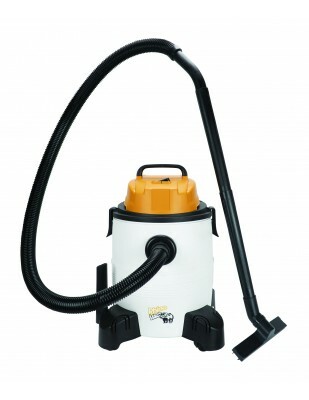 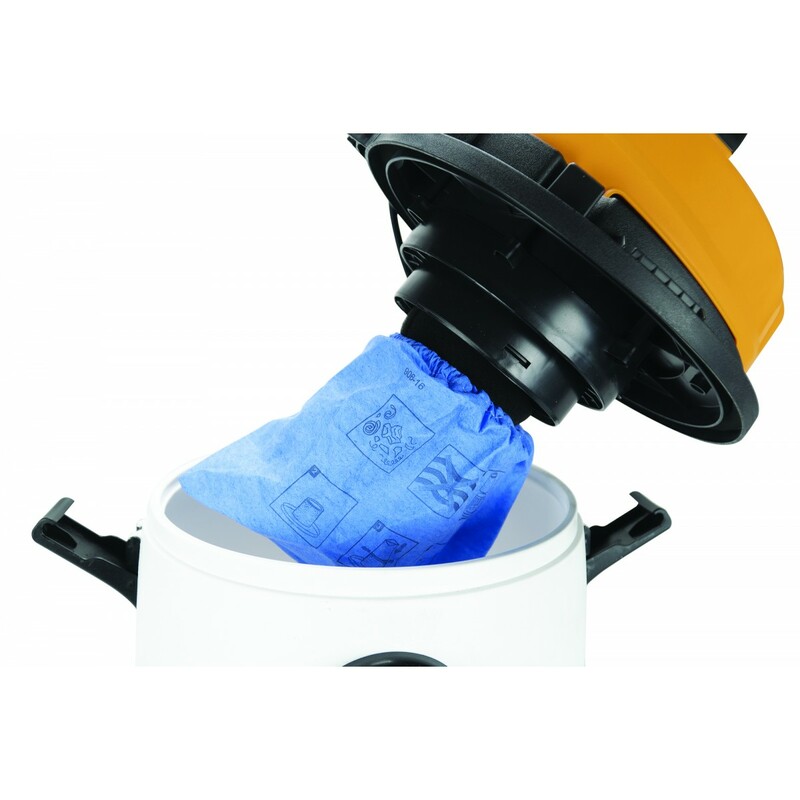 This shop vacuum can also be used as a blower; Perfect for pushing sawdust, stone dust and leaves around. 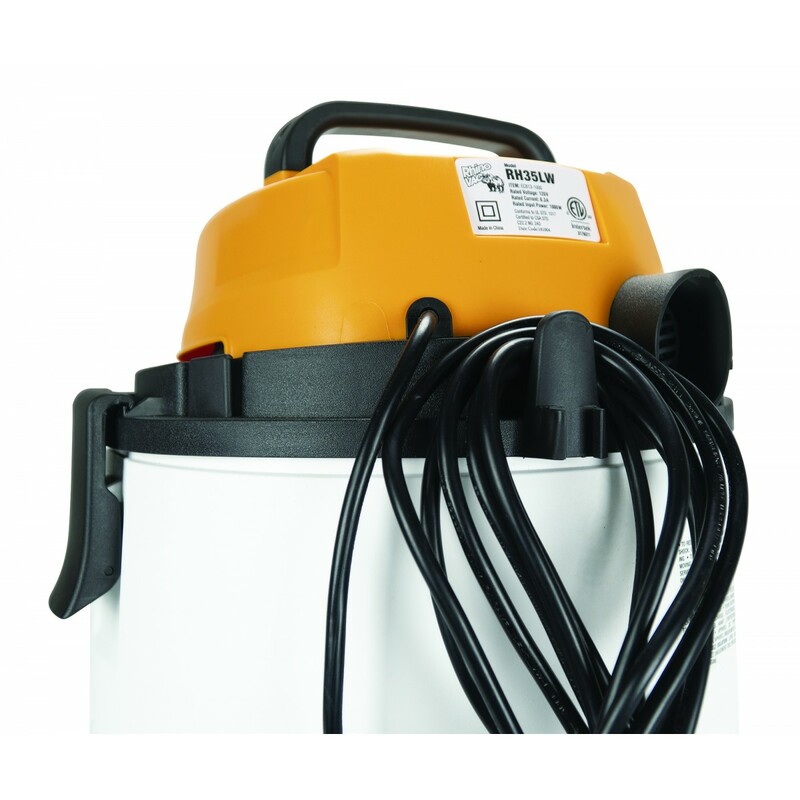 It can also come in handy when emptying your swimming pool hoses. 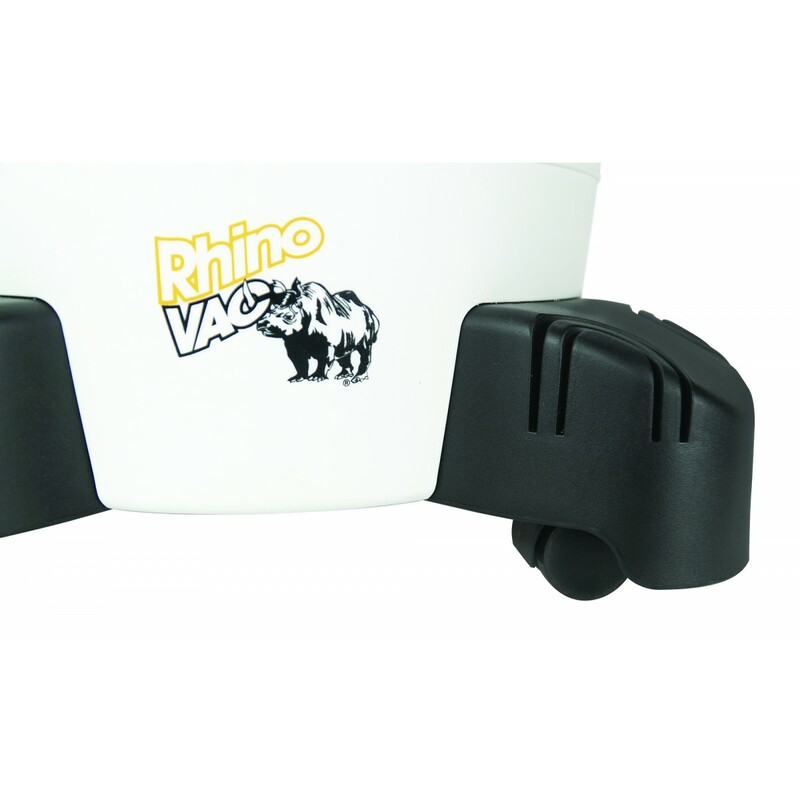 The swivel casters/wheels allows this shop vacuum to adapt efficiently to your vacuuming style. 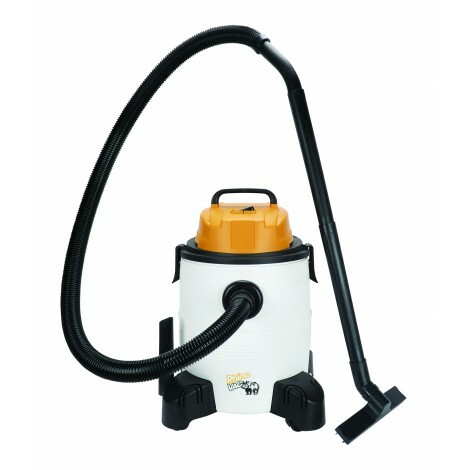 The 35 L (8 gal) tank capacity, its powerful 65 inches water lift capability, its 850 W (1.4 HP) motor and its maneuverability gives this shop vacuum the ultimate tool to have for heavy duty cleaning. 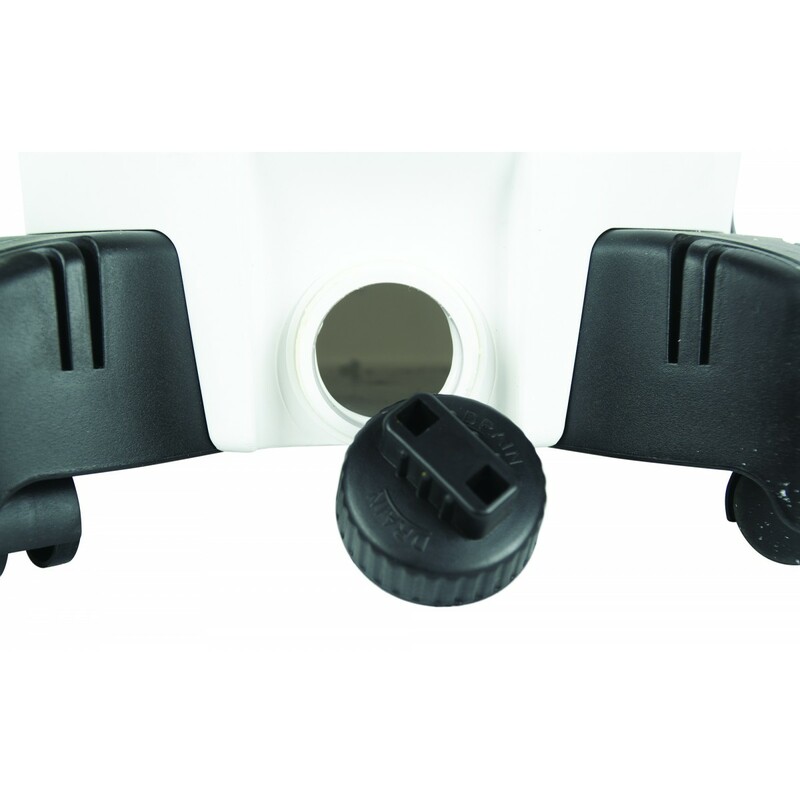 Accessories include; a 3-part wand, a flexible anti-crush hose, one paper bag, a set of brushes and a filter. 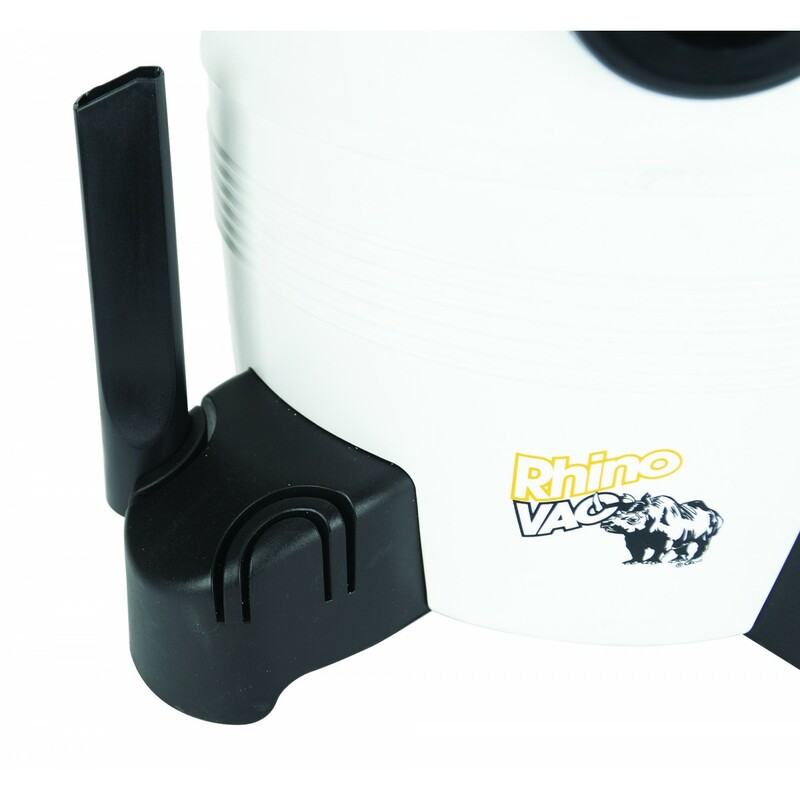 This shop vacuum is a must around the house, the garage or, undoubtedly, in any respectable shop.